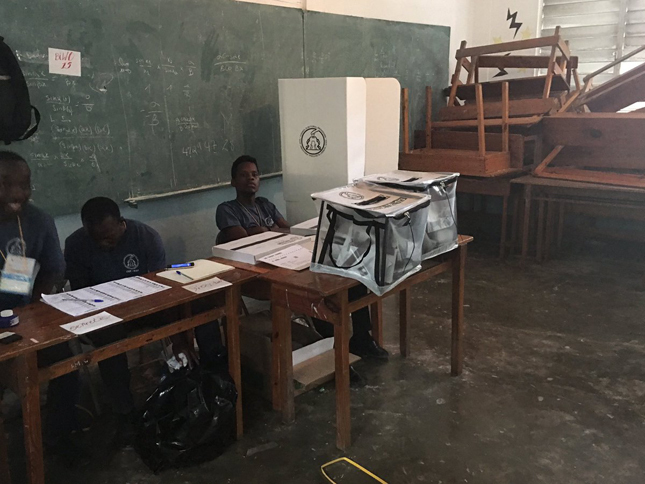 Haiti held presidential and legislative elections again on Sunday, November 20, and this alone was a minor victory. 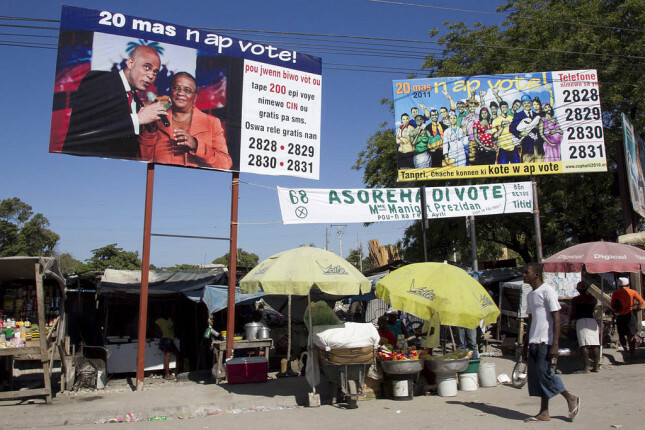 To reach this point, Haitians had to boycott three fraudulent elections and replace Michel Martelly’s dictatorial rule in February 2016 with an interim administration. This transition government has been sufficiently honest to verify the election results of October 2015. An Independent Committee for Electoral Evaluation and Verification (Commission Indépendante d’Evaluation et de Vérification Electorale, CIEVE) discovered that zombies had cast about 70 percent of the ballots. In other words, in elections that were reported to have had a 25 percent turnout, the real participation was only 6 percent of the eligible 6.2 million voters, and the rest of the voters were fabricated! Ironically, our zombies were not the shuffling Haitian kind, but ballot-stuffing international observers. The interim government took to heart the recommendations of CIEVE to repeat the elections and remove foreign influence from them. Haiti raised $48 million on its own for these elections. 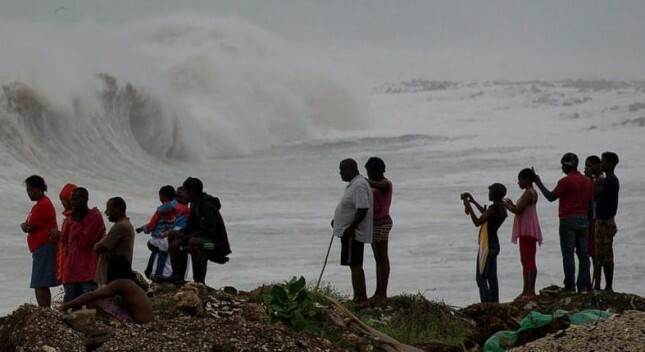 The country seemed on a smooth path to a free-and-fair plebiscite until category-four Hurricane Matthew made landfall in southwest Haiti six days before the scheduled date of October 9. The elections had to be postponed. Contrary to predictions, the main problems of the post-hurricane elections have had little to do with the damage to the polling stations. The claims in the media of massive damage to these stations have been greatly exaggerated and used to pressure the government to seek more money for the elections. 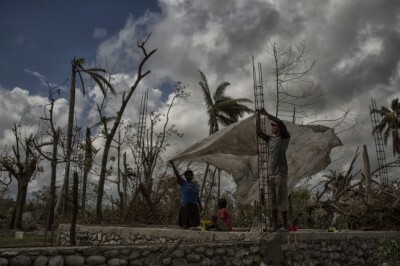 The United States has assisted Haiti’s elections again, through the United Nations Development Programme (UNDP), for some unspecified sum, with rebuilding its polling stations. Other concerns include: an opaque new method of vote tabulation that was announced only on November 16 by Haiti’s Interim Electoral Council (Conseil Electoral Provisoire, CEP); claims from human rights organizations and political parties that foreigners will tabulate the election results; journalist reports that many citizens were not granted their national identification cards (Carte d’Identification Nationale,CIN), which were required for voting; police reports that some individuals possessed large sets of CINs; and finally, the rains that have battered Haiti, and caused floods especially in the north, throughout the month of November. Haitians are trying to mend the political unraveling of the country since the cholera elections of 2010-11 spewed out the vulgar musician Michel Martelly. According to Wikileaks Clinton e-mails, top aide Chery Mills advised her boss, United States Secretary of State Hillary Clinton, to go to Haiti to demand a change in the results of the first-round November 2010 elections, all the while publicly extolling the US partnership with Haiti. To remove popular candidate Jude Celestin from the race, the Organization of American States (OAS) changed its vote-tabulation method to discard most of the votes that had been cast for him. Clinton and Mills got, as the second-round candidates, the “MMs” they wanted: Mirlande Manigat and Michel Martelly. Of course, Michel Martelly won. 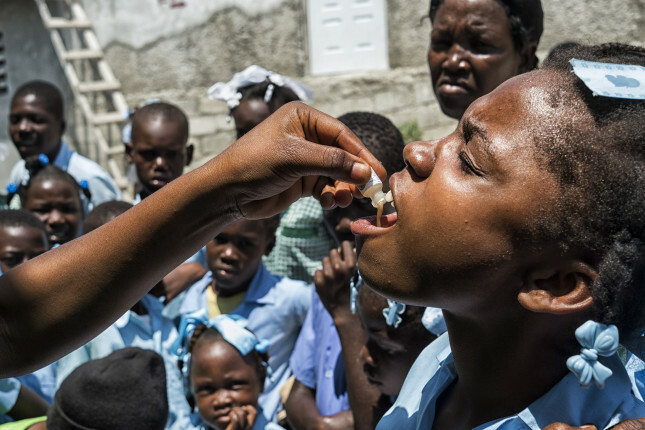 With the full support of Bill and Hillary Clinton, by the fifth anniversary of the earthquake in January 2015, Haiti had become a cholera kleptocracy. 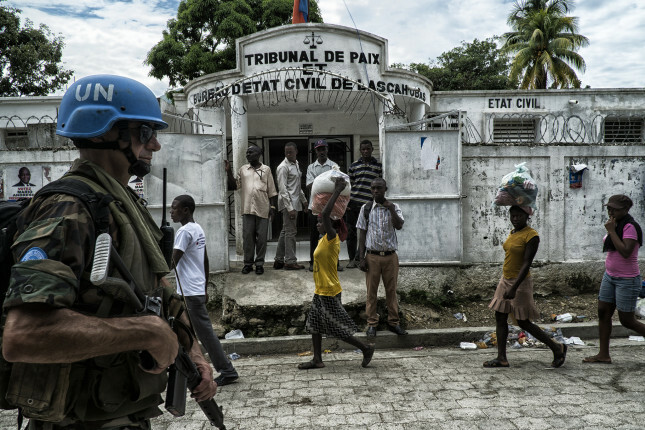 About $13 billion of aid money had been laundered through the country, leaving Port-au-Prince unreconstructed. The parliament had dissolved from neglect, because no local or legislative elections had been held in four years. All the mayors and other elected local officials had been replaced by so-called interim agents, many of them known criminals, who answered directly to Martelly. 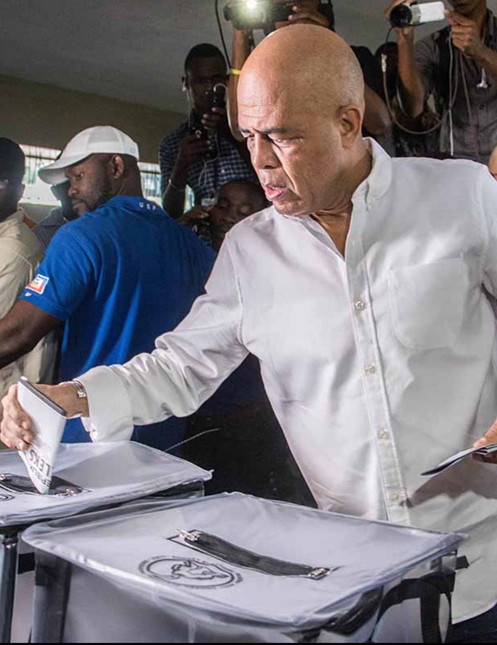 Public outcry and massive protests at the state of affairs forced Martelly in spring 2015 to organize legislative, local, and presidential elections in August and October 2015, but as we learned, these elections were rigged. (1) Jude Celestin, a mechanical engineer and the former executive director of Haiti’s construction ministry, the National Center of Equipment. He is the man who was personally removed by Hillary Clinton from the election of March 2011, and who, in 2016, led the movement to boycott any new elections that did not first verify the results of October 2015. (2) Moise Jean Charles, previously Haiti’s Senator for the North Department. The North is the site of Haiti’s gold mines and an area in which Hillary Clinton’s brother Tony Rodham continues to have great financial interest. For years, Moise Jean Charles kept Martelly in check by his work in the Senate and by organizing countless protests against Martelly, the Clintons’ corrupt Interim Haiti Recovery Commission (IHRC), and the United Nations military occupation. (3) Maryse Narcisse, a former minister of public health who is supported by former president Jean-Bertrand Aristide. In principle, she should have massive support because of her association with the Lavalas party, but in fact her support base is quite small, now that Lavalas has splintered into several parties and her part of it is the smallest. Narcisse has kept mostly silent during the Martelly administration except for occasional commemorations of Lavalas events. (4) Jovenel Moise, a rich banana farmer who was unknown until he ran for president. He is the candidate favored by Martelly and the international community. 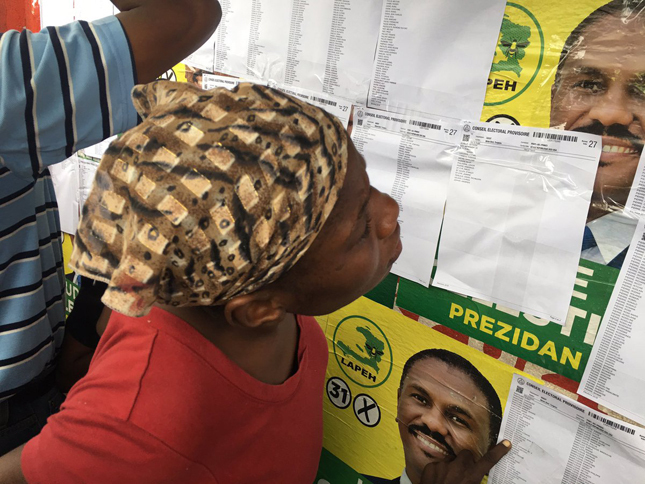 Coincidentally, he and his party, a personality cult called Haitian Party of the Bald Heads (Pati Haiti Tet Kale, PHTK) were also those that the fraudulent October 2015 elections had favored. The voter turnout was still low this time around, although a larger fraction of Haiti’s voters went to the polls. In the northern city of Cap Haitien, many people lined up under umbrellas in the rain. 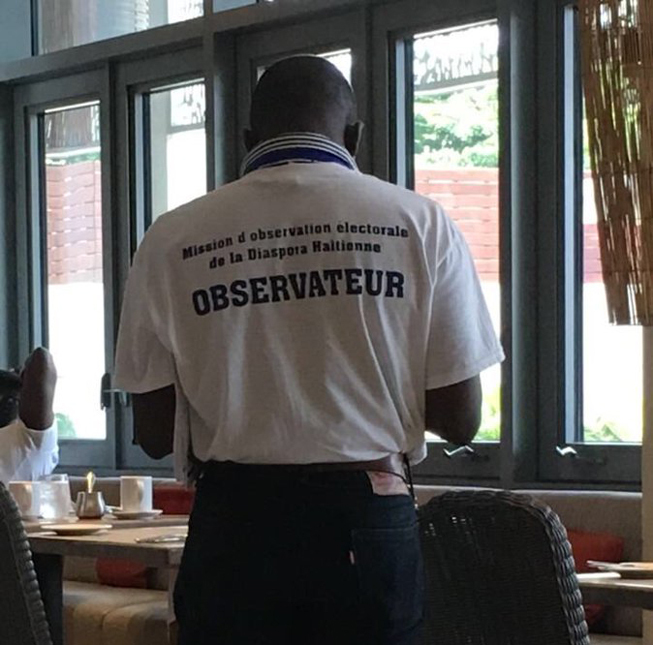 More than 4,200 accredited Haitian observers were deployed to monitor the voting centers, inside and out, and over 12,000 police officers provided security. 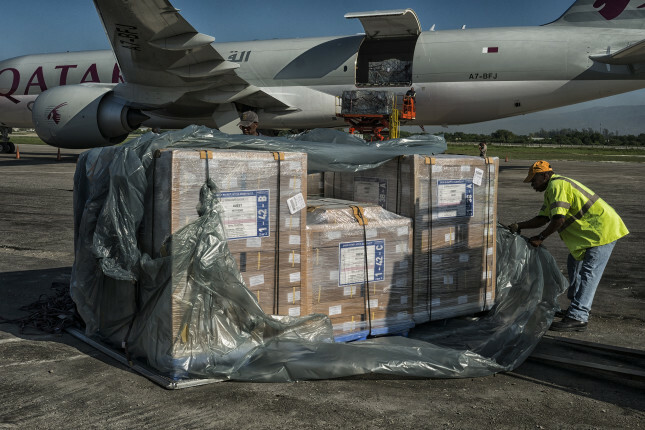 Despite its tainted past, the OAS also had its own 130 observers, led by the Uruguayan Ambassador Juan Raul Pereira, and U.N. troops were there too. 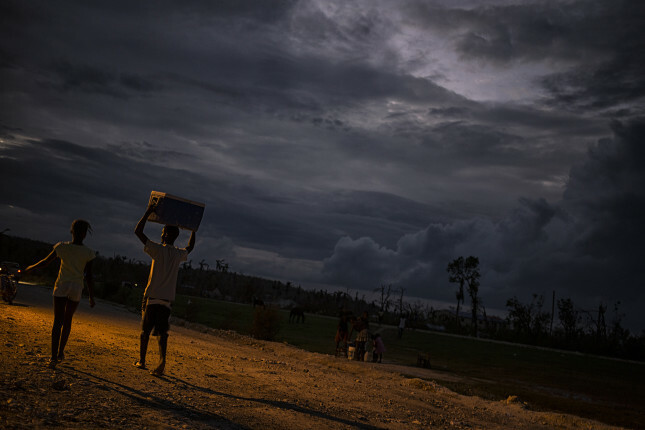 As the polls were closing, a suspicious electrical blackout blanketed the city of Port-au-Prince and most of the country in darkness. Nevertheless, the US, OAS, and UN immediately congratulated the country on its well-organized, peaceful elections. This should be worrisome, because in the past such statements have always been coded language for “the fix is in.” One candidate for president, Jovenel Moise, is alleged to have distributed red roofing materials in exchange for votes. The pollsters have also been on his side, with some polls predicting that he will win more than 50 percent of the votes in the first round. Should this happen, Haiti will probably explode in massive riots when the election results are announced. On the other hand, if somehow the elections manage to be reasonably free and fair, the two top candidates will probably be Jude Celestin and Moise Jean Charles, but neither of them will get more than 50 percent of the votes, and the presidency will be decided in second-round elections on January 29, 2017. Dady Chery is the author of We Have Dared to Be Free: Haiti’s Struggle Against Occupation | Photographs seven to ten from @gaetantguevara.